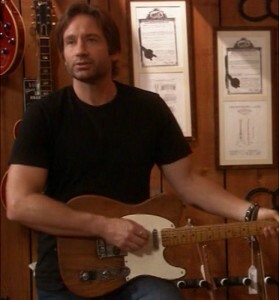 Last July, the always awesome David Duchovny announced that he would be releasing his debut album sometime in 2015. Never one to disappoint, the 54-year-old actor has since shared the details for his first full-length record, which is set to arrive on May 12 through Thinksay Records. Titled Hell or Highwater, Duchovny’s freshman outing will be comprised of 12 original tracks, two of which can be previewed below. If you’re a fan, you can pre-order the album here. Comment below and let us know if you’ll be picking up a copy of Hell or Highwater.